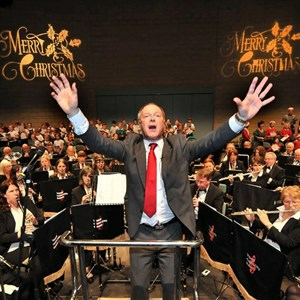 York's Community Carol Concert returns for its 61st year! 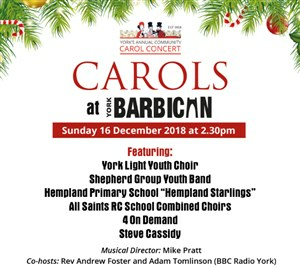 York’s 61st Annual Community Carol Concert will take place at the York Barbican on Sunday 16 December 2018 at 2.30pm. Tickets for the next York Community Carol Concert will be available from the York Barbican Box Office from 2 July 2018. Performing this year on stage will be Shepherd Group Youth Band, York Light Youth Choir, Hempland Primary Academy “Hempland Starlings, All Saints RC School Combined Choirs, 4 On Demand and Steve Cassidy. Musical Director, Mike Pratt, will be joined by co-hosts Rev Andrew Foster and, BBC Radio York’s, Adam Tomlinson. In aid of the Lord Mayor and Sheriff of York’s Christmas Cheer Fund and “The Island” (The Press nominated charity) – tickets cost £7.50 adults, £6 senior citizens and under 14s and a £24 family ticket (2 adults + 2 under 14s). Don’t forget to book your seat for this special community festive event!